KFI Kool Series Beam Reception Seating are an easy way to add individual guest chairs to any reception or waiting room. The beam design creates tidy rows that can form numerous configurations in either a 2, 3 or 4 seat model. All models only have 2 leg posts, which means there are fewer legs to clean and mop around than traditional seating. 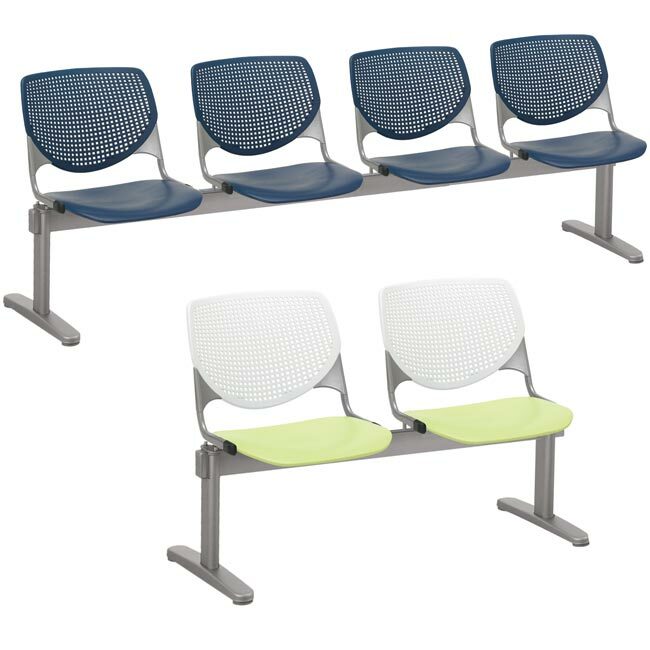 Built for high traffic areas, they are constructed with a tubular steel frame, aluminum alloy back supports and curved polypropylene seat and backs. Arm sets are sold separately to add extra division and comfort for your guests.